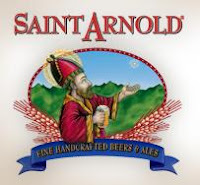 Saint Arnold Brewing is celebrating their 17th anniversary with a party on Sunday, June 12th from 12pm ~ 3pm. The cost is $36 per person which includes a barbecue lunch and a special anniversary glass. Reservations must be made in advance online (click here) and will most certainly sell out. The Saint Arnold Olympics will also take place that afternoon and they are seeking eight 2 person teams to compete. If you are interested, please send the name of your team along with the names of the two team members (include email address and phone number) to lennie@saintarnold.com. If more then eight teams are submitted, there will be a random draw to choose the participants.